New for the Fall of 2016 riding season, the Bell Qualifier DLX MIPS Accelerator Helmet will offer a Multi-directional Impact Protection System. MIPS uses a slip plane system that moves inside the helmet mimicking the brain’s own protection system. This layer is designed to rotate inside the helmet with the intent to potentially slow or reduce the amount of energy transferred to or from the head. Four elastomeric bands connect the MIPS layer to the outer liner, providing a few millimeters of movement in all directions. The Bell Qualifier DLX Accelerator will also be offered in a non-MIPS version as well. The price of the MIPS version is set at $269.00 which is only $20.00 more than the regular, non-MIPS DLX models. 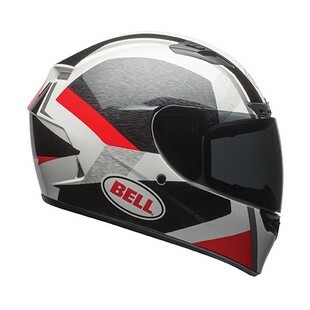 Besides the MIPS and two new colorways (Red/Black and Grey/Hi-Viz), the Bell Qualifier DLX features that you have come to love remain the same.